I placed in a photography contest! In September there was a contest all around the world for the Army and Air Force Exchange Service (AAFES). It was a contest for most patriotic pet. 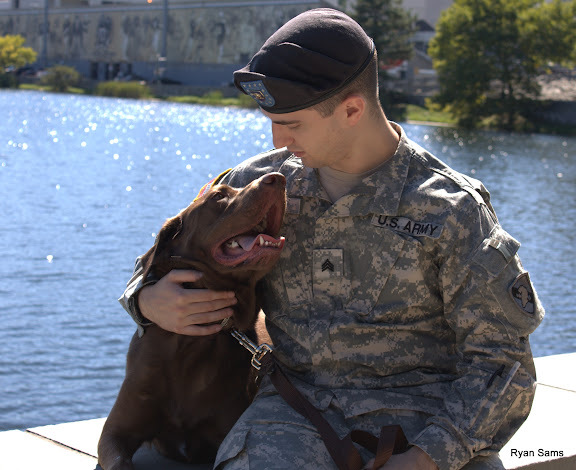 So i had my buddy and his dog pose for me around West Point. Today i got the news I won 1st place and a 500 dollar gift card from AAFES. My picture is going to be put up on their website within the next couple weeks. That's a nice shot! Congrats on the win! Thanks guys, i definitely didnt have any intention of coming in first place. Quick Reply: I placed in a photography contest!